The only cheat you should partake in is not joining the marathon at all. 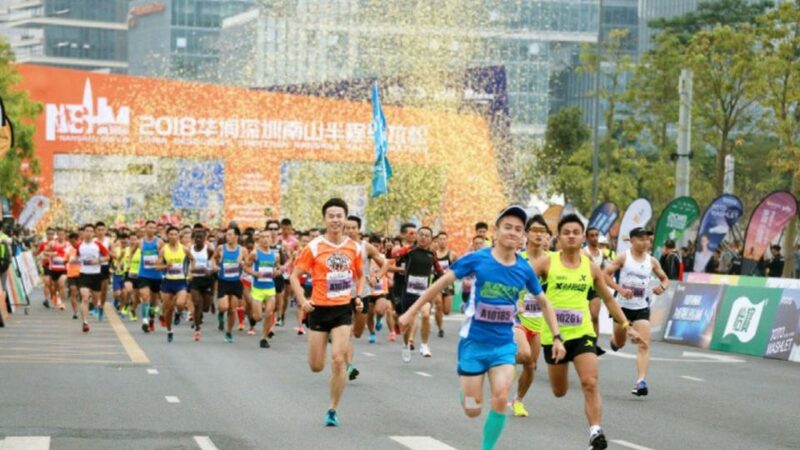 Held every November, the Shenzhen Nanshan Half Marathon is one of the most influential professional road run in Shenzhen and even South China. 2018 Shenzhen Nanshan Half Marathon was upgraded in an all-round way, with the slogan of “Running China's Silicon Valley and foreseeing the future of the Bay Area” as a slogan of the race. However, last weekend on 25th November 2018, more than 250 runners was caught cheating at the half marathon. There were many that took shortcuts in between and gave them a dishonest advantage. During the race, there were as many as 18 runners found to be wearing fake bibs, as well as three impostors, the Xinhua news agency reported on Thursday. Runners with fake bib numbers and those who hired imposters are facing a lifetime ban from the event, and the other 237 runners will be banned for two years, according to an announcement by the organising committee. Traffic camera that was stationed caught runners turning around at least 1KM before the assigned U-turn, potentially running short 2-3KM off the actual full 21KM distance. Another picture shot by a local photographer shows two runners with identical bib numbers. We deeply regret the violations that occurred during the event. Marathon running does not simply exercise, it is a metaphor for life, and every runner is responsible for him or herself. No matter the participants or the organisers, they should reflect: What is the significance of participating in and holding marathons? Don't run and forget why you run. Don't let the marathon turn sour. Even though both marathon and leisure running is rapidly growing fast in China, this recent sports news has made unwelcome headlines in recent days. A sharp rise in the number of events in recent years and mass participation has also been blamed for the problem. According to the Chinese Athletics Association (CAA), there were just 22 marathons, half-marathons or other running events in China in 2011. This year, however, that figure has skyrocketed to nearly 1,100 this year. The annual race in China's fourth largest city typically attracts about 16,000 runners.